We’re excited to be working on two landmark projects for the London Design Festival this year. Activity in the hangars is intense and last night saw us burning the midnight oil with Es Devlin who was reviewing progress on the forthcoming Please Feed The Lions installation that will go into Trafalgar Square in ten days time. 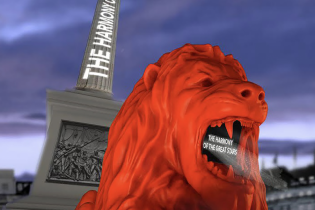 This project involves us sculpting a 1:1 scale replica of one of Landseer’s original Lions and collaborating with a great team of experts and designers including Google, Lux and Es Devlin to create an imposing feature for the festival. It’s a mash-up of art, design, poetry and artificial intelligence. Simultaneously we’re working on a fantastic architectural scheme, Multiply, designed by Waugh Thistleton Architects. 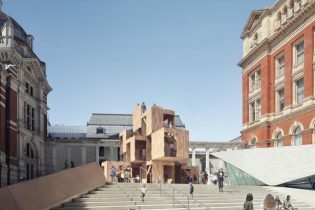 This installation is going into the V&A and comprises stacked CLT timber boxes to create an astonishing piece of experimental architecture. It has been a joy to build. We will be revealing more about that project soon! More on the London Design Festival can be found here.